Usually, when plotting the release of your film, you want to use give your product, which you’ve spent a significant amount of time, effort, and capital to produce, every advantage you can get. Increasingly, there’s more and more competition for fewer and fewer audience members. Chicken Soup for the Soul, however, just made what appears to be a very counterintuitive move, scheduling its release up against what is sure to be one of the biggest movies of 2016. According to The Hollywood Reporter, Chicken Soup for the Soul has set its release date as December 16, 2016. If that specific Friday some 16 months from now sounds familiar, that’s probably because it also happens to be the release date of the first of the standalone Star Wars Story films, the Gareth Edwards-directed Rogue One. With Star Wars: The Force Awakens looming on the horizon this December, hype for the franchise is practically at a fever pitch. Just the other day we were freaking out thanks to 15 seconds worth of footage. 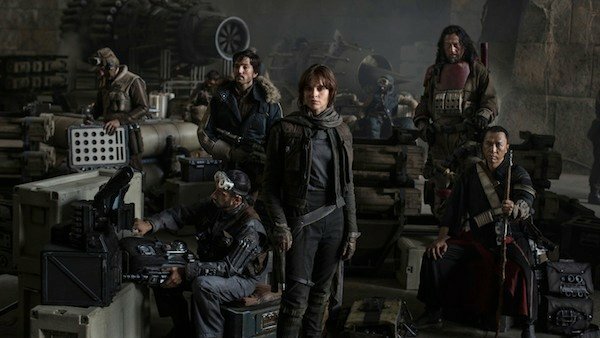 As production is under way, and with new casting announcements and other details coming out, Rogue One has been making waves too. It seems like the film is going to be a juggernaut that crushes anything unfortunate enough to get in its path, and that now appears to be Chicken Soup for the Soul. On the other hand, however, this could prove to be a successful bit of counterprogramming by Alcorn Entertainment and producer Jordan Lerner. We don’t know much about the plot, and there’s not even a director in place yet, but the script by Lewis Colick (October Sky) is said to feature a series of four interlocking inspirational tales that are fictionalized versions of real-life stories. For fans looking for something without spaceships and aliens, something warm and fuzzy and more family oriented for the holiday season, Chicken Soup might just hit the spot. And there’s definitely a market for this movie. Motivational speakers Jack Canfield and Mark Victor Hansen first compiled inspirational true stories they collected from audience members back in 1993. In the years since, the Chicken Soup family of books has grown to more than 200 titles, and sold more than 600 million copies. They’ve also expanded the brand beyond books, and you can buy any number of licensed products, from prepared meals to motivational greeting cards to their own brand of pet food. While it seems like it is going to get crushed by it’s bigger, flashier cinematic neighbor, you have to imagine that Chicken Soup for the Soul is betting on there not being a ton of crossover between their film and Star Wars: Rogue One. And even though they’re hitting theaters on the same day, it’s easy to recognize that they know they aren’t going to top Star Wars at the box office. They’re simply going to try to carve out their own little niche, and they’ll likely find it. There’s huge name recognition already in place, and this isn’t some massive, special effects-heavy blockbuster we’re talking about, so it will likely be cheap to produce. If this movie doesn’t wind up being very profitable, I’ll be surprised. We’ll find out for sure when Chicken Soup for the Soul and Star Wars: Rogue One go head-to-head on December 16, 2016.